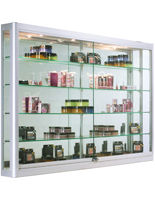 Keep your merchandise safely visible with this LED wall display case that comes with a plunger lock and key set. 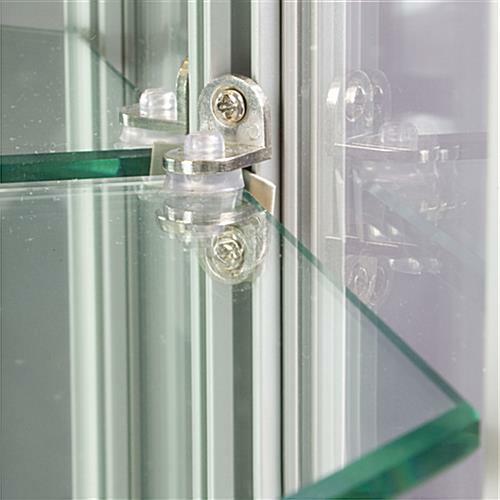 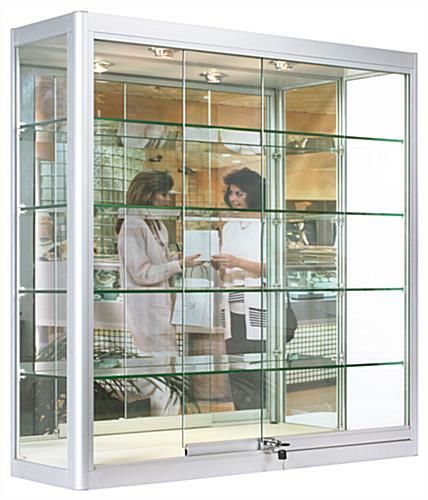 Sliding doors give way to 4 tempered glass shelves, each illuminated from the top lights above. 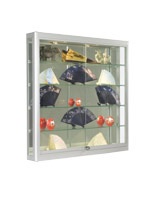 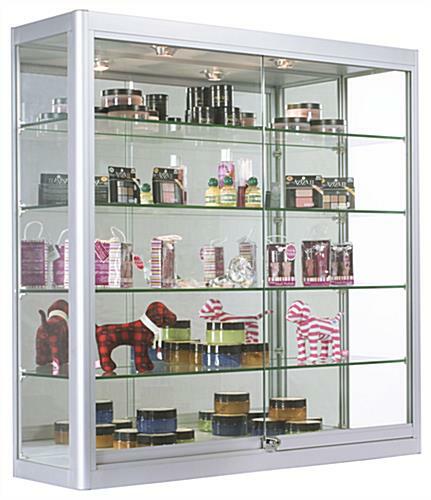 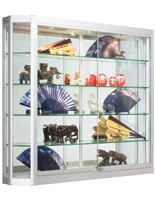 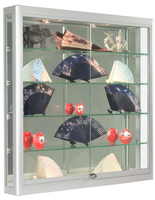 The aluminum display case features a durable yet stylish design that is sure to get noticed in any busy environment. 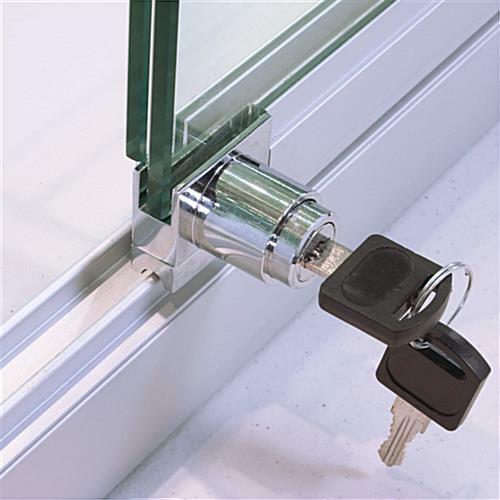 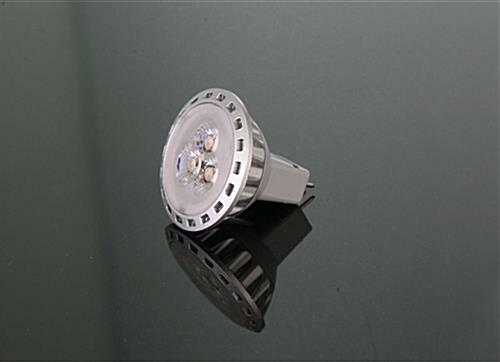 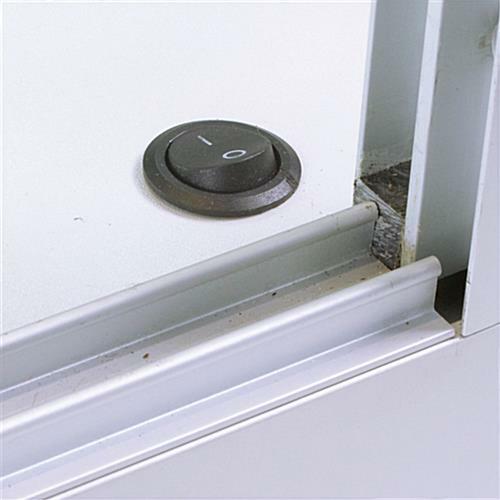 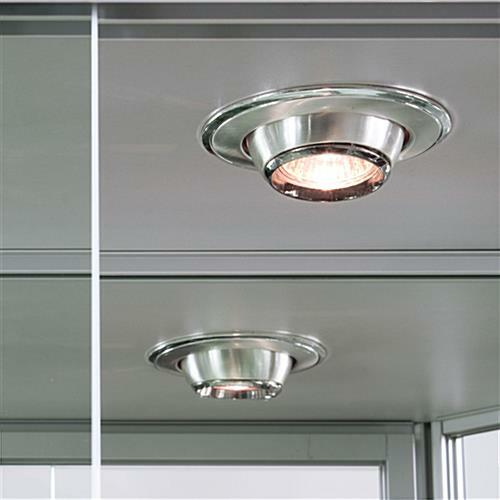 Each mounted cabinet has a power switch conveniently placed inside the glass doors to turn off the lights without having to reach for the plug. 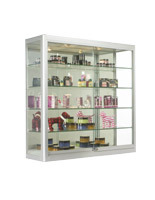 The 10” deep shelves are adjustable allowing for a wide variety of merchandise to be stored. 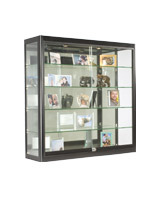 Use this mounted cabinet as an display case to showcase jewelry, electronics, collectables, or other high end merchandise.